As for the Mitsouko ad...it's so gorgeous, and possibly the only perfume ad I've seen with an Asian woman in it. Too bad she's also styled like she's going to be in the next Shogun television miniseries, but, I guess you take what you can get. So without further ado(s), my haikus. I love playing with words so I've tried too. In my word play enthusiasm I forgot to applaud your witty haikus, and I meant to comment on the Giorgio one. I recall how a very elegant and striking post-grad colleague wore this and somehow eliminated all of Giorgio's OTT aspects, rendering it a very different scent. Amazing what the right person can do to the otherwise very wrong scent. You tamed Giorgio with your wordsmithery, Anna! Arch. Good eats cover concrete. They are fun, arent they Joan? I commented on your great perfume haikus! Glad you liked it Barbara! I decided to write one yesterday for several reasons. For one, it was my birthday and I wanted to post on this day! Secondly, I finally read all the haikus on Now Smell This and became inspired. Finally, my daughters were discussing their "signature scents" and my eldest asked if L'Heure Bleue was mine. You know that you are a "bad Influence" as a mum when your 11 and 13 year old are already determining yours and their "signature scents"!!! Bad influence? Bah! breathe31, I think it's great your kids are asking you what your signature scent is! How sophisticated. And Happy (belated) Birthday! Did anyone get you perfume? Several weeks ago I purchased two full size EDP of Mitsouko and L'Heure Bleue so they count as my birthday/mother's day gifts.My hubby would not have a clue as to what perfume to buy me and besides, he already believes the females in the house have way too many perfume bottles!(LOL!!!) He opted for the safer gift of flowers. Come to think of it that would be a fantastic thematic blog- perfumes that are great to give as gifts! A good reference guide for the men/special individuals in our lives who are clueless when it comes to perfume! A prom corsage pressed in a popular novel. Having a teenager and pre-teen I can attest to the fact that taste in perfume changes and there can be a generational gap. My girls prefer lighter, fruity, clean scents (in their bathroom they have DK Be Delicious,new Chloe, Escada Marine Groove and several scents from Pacifica). You might want to check out the Pacifica line- their fragrances are all natural and appeal to a younger audience (although every scent in their wood/resin category appeals to middle aged me!). www.pacificaperfume.com Good luck finding the right fragrance! Thank-you for the suggestions! I would rather gift a quality scent such as Chloe than a "celebrity" fragrance. There was a phase in my Middle-school years that the kids did the whole "fruity" fragrance thing, so perhaps fashions do come around again. The wood/resin by Pacifica would certainly appeal to me, too. 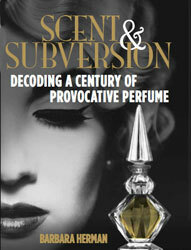 Is it really middle-age, or because those fragrance types made such an impact when we were at an impressionable age? Impossible flowers blowing in the winds. Nancy- great Haiku! And yes, please refrain from purchasing celebrity scents!!! I would give Pacifica a try because not only are their products natural but they are an enviromentally conscious company and don't do the mass market/advertising thing. I wear some of their fragrances to work (Spanish Amber, Sandalwood,Nerola Orange Blossom) because they are light enough for the co-worker that has bad allergies and baulks everytime I wear a vintage scent, such as L'heure Bleue. All of the scents in the fruit category and the floral category are good for young women. And they also have gits sets.